Zip up and go with a two pack of colorful snack bags from Itzy Ritzy! 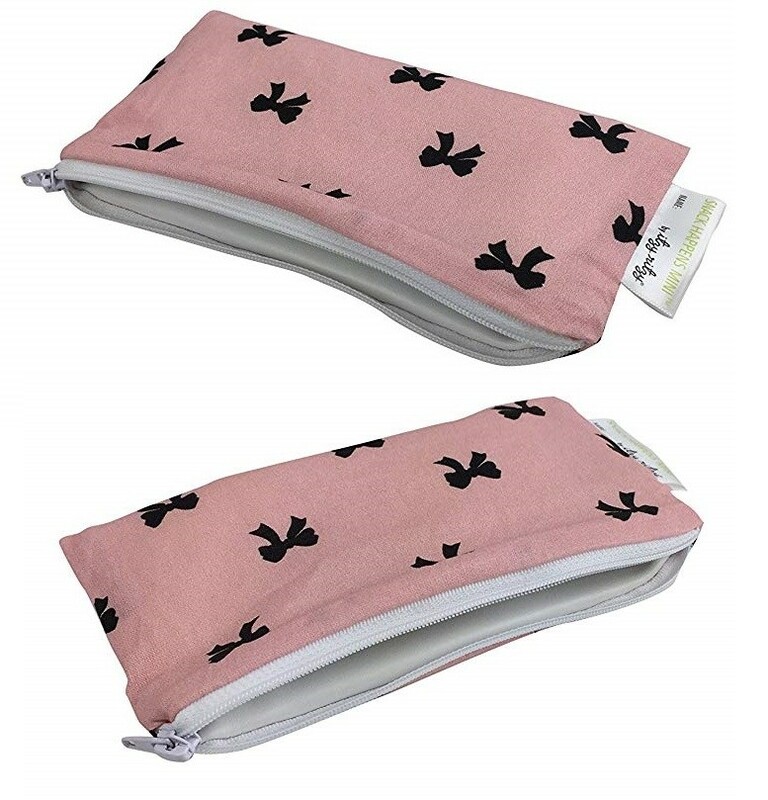 These snack bags are reusable and made with an FDA approved, BPA-free, machine washable lining. 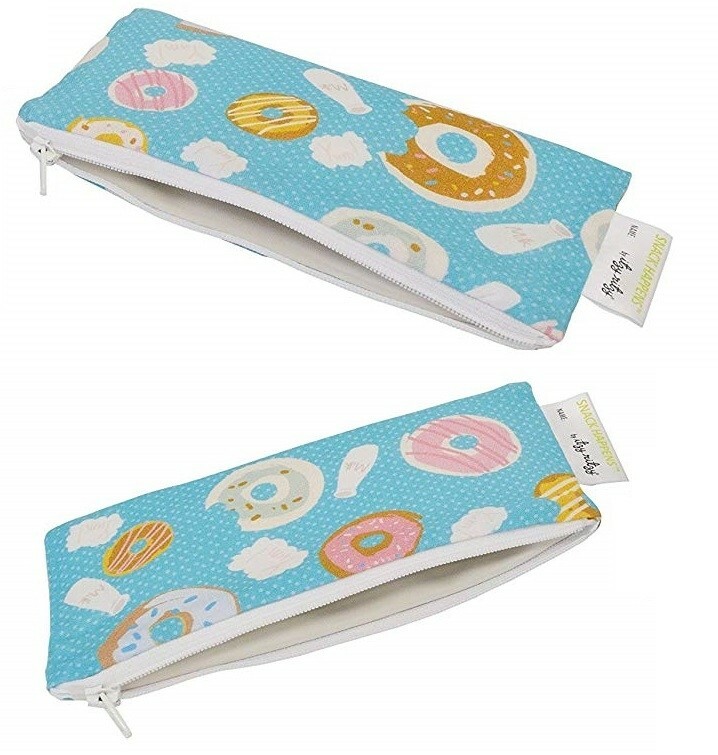 The zipper top allows for silent snacking, no messy crumbs getting stuck in velcro and is ideal for little hands. 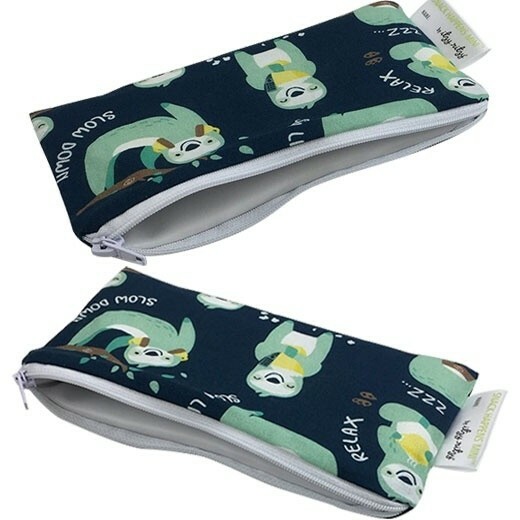 These 7" x 3.5" reusable bags are a wonderful, green alternative to plastic baggies for your lunch, snacks, school, work, litter free lunch programs and help reduce the huge amounts of plastic bags going into the trash each day.